The vendor bought the Vincent bike as a jumble of parts in several boxes with the intention of restoring it. But as he took a closer look at the green bodywork he noticed traces of red paint in the crevices of the front forks. He stripped the paint back to ultimately reveal it to be a unique Vincent White Shadow made in 1951. The bike was initially bought in a jumble of parts. The mechanics of the White Shadow were identical to its stablemate but, despite their name, came with polished chrome crank cases instead of standard black ones. Of the 15 White Shadows made, just one left the factory in Stevenage, Herts, painted Chinese Red – a colour usually reserved for the marque’s Rapide bikes. Years later a previous owner, unaware of the bike’s uniqueness, repainted the machine green and its true origins were only discovered when the unnamed vendor set about restoring it. 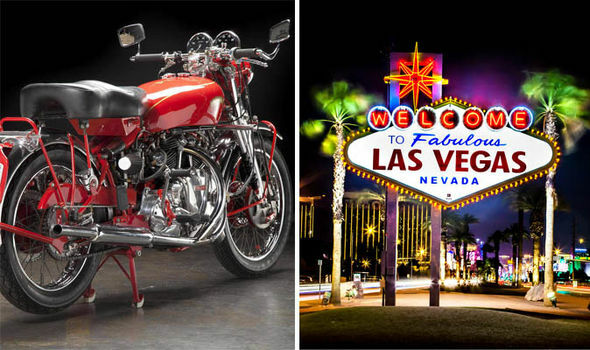 After a major revamp the restored bike was put on auction in Las Vegas. The bike underwent a full revamp that included respraying it in its original base colour before being put up for auction. It has now sold for £297,774 ($434,000) at auction in Las Vegas to a prestigious European private collector. 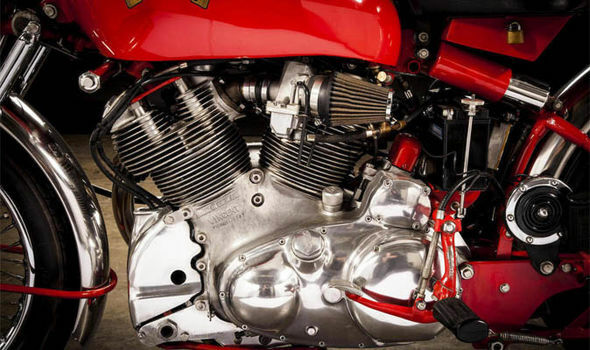 Nick Smith, a motorcycle specialist at Bonhams, said: “The seller bought a Vincent bike in boxes of bits many years ago and discovered it was originally red but thought nothing of it. “Then he started doing some research and suspected it could be this one-off White Shadow but never dreamed it was. “Through our research we were able to confirm that it indeed was the bike. 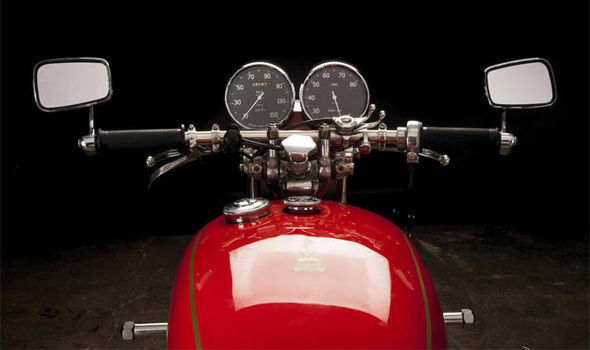 “It sold to a European collector of the very finest and rarest motorcycles of which this is one. “The seller is not a hugely wealthy guy and so is naturally delighted with the price. He is an aircraft engineer from Seattle and was looking to retire soon and this is sale is the difference between working for a few more years and not. Only 1,507 Vincent Black Shadow bikes were produced between 1949-52. Mr Smith added: “Rarer still are the ‘White Shadow’ variants and records show that just 15 of them were made. “This bike takes that rarity even further, as it left the assembly line with its fuel tank, fork tubes, fender braces, brake backing plates and sundry other parts painted in the factory’s Chinese Red, a special-order shade. Here Are 7 Easy Ways How To Remove a Broken Bolt – AMAZING! Crazy Custom Built 12 Cylinder Aston Martin Motorcycle! This Harley-Davidson Hybrid Motorcycle Is Also A Limousine—Wait, What? 1946 FL Is A HELL’S ANGELS Incredible Barn Find!